Read 2 times. Last read March 26, 2019 to March 27, 2019. ALL IN ALL: yes, I'm in love with this. It just is the kind of book I adore: slightly magical, witchy, aesthetically pleasing with woods and mayhem, a cast of characters who are beautiful but totally damaged, and a few punches to the feels. It's entrancing and surreal. I am half in love with the Graces too. 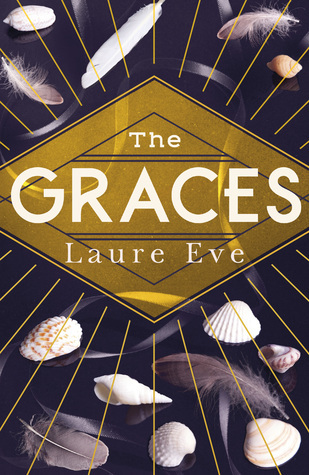 Sign into Goodreads to see if any of your friends have read The Graces. 13.01% "That moment when the secondary characters are 10000% MORE INTERESTING than the actual main character." 39.04% "I'm MILDLY IN LOVE with the Graces too dangit." Totally agree! Loved the aesthetic in this one. :) Can't wait for book 2! Hahaha... seashell soap. Or chocolate. Whatever. It does have that Art Deco-packaging thing going on! @Anja: YAY!! I hope you like it! @LA Coccinelle: DOesn't it just?!? XD I much prefer the hardcover. I don't even get why there's seashells. They didn't play that much significance in the book??? Seashell chocolates were the first thing I thought of when I saw the cover! Love your review! I agree. Most of the reviews were lukewarm, but me and mine (my blogger kid) liked it, and I for one am looking forward to seeing what happens next. I read the eARC so there was no picture, but yes, the seashell picture is horrible but the book is beautiful!! And Summer is my favorite character. I'm only a quarter of the way in, but can't put it down. I love this woman's writing style. I remember reading the Graces ... it was so eerie and it just spoke to me. I cannot wait to read #2. Nina wrote: "I remember reading the Graces ... it was so eerie and it just spoke to me. I cannot wait to read #2." It's fantastic. 😍Book 2 is even better.